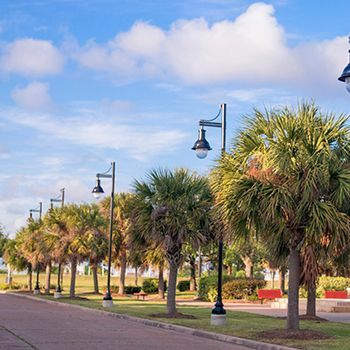 Amistad Recovery Services, LLC’s mission is to provide the best effective multi-cultural addiction counseling services for individuals and their families. We help families by giving respect and genuine care. We offer tools and strategies to help family members discover new ways of living with a positive and healthy lifestyle that is free from alcohol and other drugs. We are a private practice with a dedicated Licensed Chemical Dependency Counselor, Aida Garza, who is bilingual. She has worked closely with Adults and Adolescents for the past eleven years in Individual and group settings to help clients learn about the dangers of drug addictions. We use evidenced based practices such as Motivational Enhancement Techniques and Cognitive Behavior Therapy. We have experience in working with court mandated clients, as well as, with clients who are voluntarily seeking assistance. We also believe in educating families to assist in understanding the addiction prone behaviors, communication skills, the roles of dysfunctional family and setting healthy boundaries. 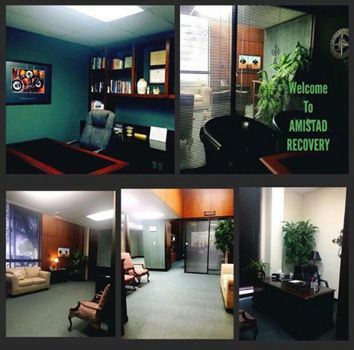 At Amistad Recovery we specialize in substance use disorders counseling working with adults and adolescents struggling with alcohol and other drug addictions. We provide bilingual counseling services with a genuine care, respect in a non-judgemental environment. Bilingual Licensed Chemical Dependecy Counselor, Texas State Board Certified Alcohol & Drug Counselor, National Certification Addiction Counselor, International Certified Alcohol & Drug Counselor, Certified Anger Resolution Counselor, DOT Substance Abuse Professional, TDLR DWI-Ed , DWII, VICTIM IMPACT PANEL FOR DWI & Texas Drug Offender Program DOEP. Court Mandated TDLR DWI, DWI-Intervention, DOEP, BIPP Battering Intervention Prevention Program. In Addition we provide Anger Management, Drug & Alcohol Awareness, Anti-Theft Shoplifting Classes. DOT & Non-DOT Substance Abuse Professional Evaluations. SAP Evaluations DISA Referrals.